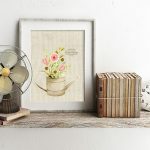 Beautiful Botanical Spring Printable that is vintage inspired! 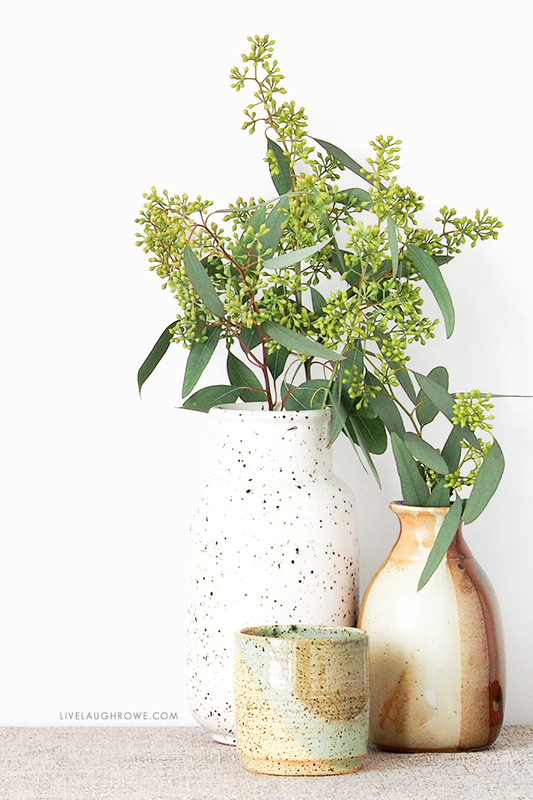 Spring flowers always brighten up a space…and the day, right? Happy Spring!! Oh my goodness, am I ever excited to welcome spring back this year. I’m not sure about you, but I’m hoping for more sunshine, warmer temps, green grass, spring flowers and RV adventures! 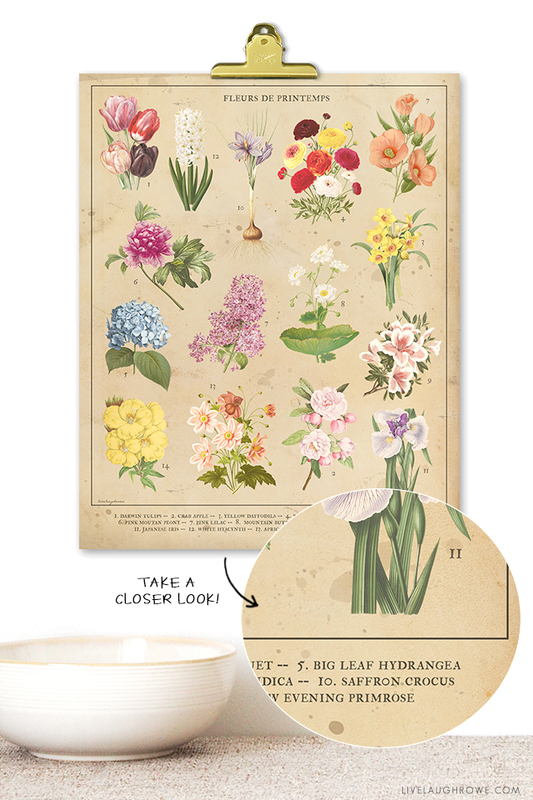 So, how about a Botanical Spring Flower printable to kick off the season? And the crowds go wild (wink-wink). 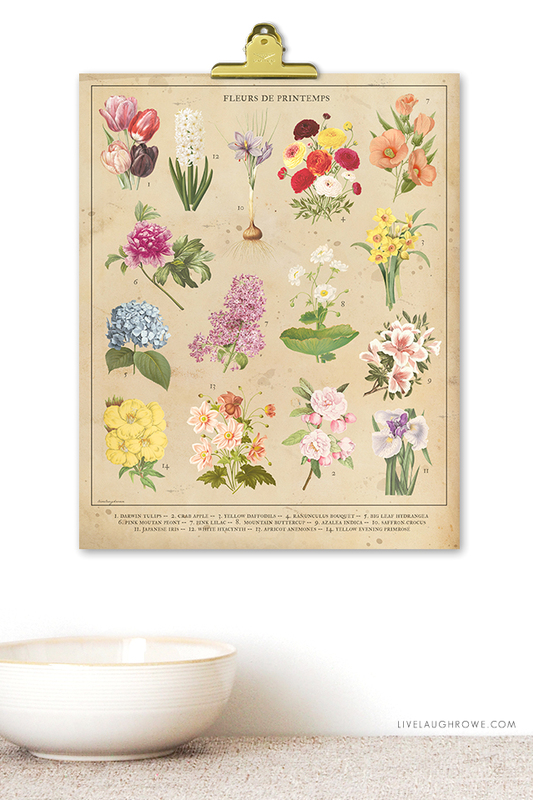 Vintage botanicals and botanical prints always make my heart happy. The muted colors and simple designs set them apart from a lot of todays more modern art. When I recently stumbled across a vintage FLEUR (“flowers” in french) print, I knew I wanted to create something similar. It was “crammed” with botanical flowers, each numbered and identified on the bottom of the page. It looked a little busy, but it was beautiful in its own way. 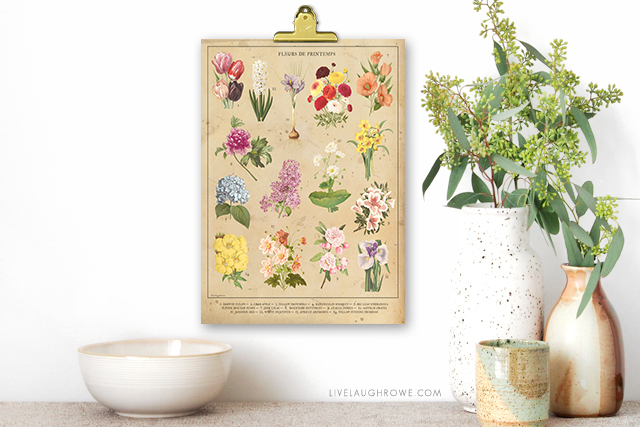 After doing a little research on spring flowers and finding the right botanical clipart to accompany them, I made this FLEURS DE PRINTEMPS (“spring flowers” in french) 8×10 printable to share with you. I went with a little cleaner look, and I’m in love. What do you think? 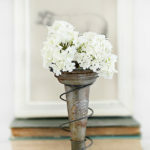 It has a vintage inspired look, but can certainly fit into so many different styles of decor! Place in a frame, on a clipboard, tape to the wall or hang on your fridge. Mine hung beautifully next to some pottery pieces. 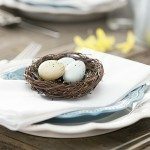 The following fifteen botanical spring-friendly flowers were used: Tulips, Crab Apple, Daffodils, Ranunculus, Hydrangea, Peony, Lilac, Buttercup, Azalea, Crocus, Iris, Hyacinth, Anemones, and Primrose. I hope you’ll find use for this and enjoy it as much I have. 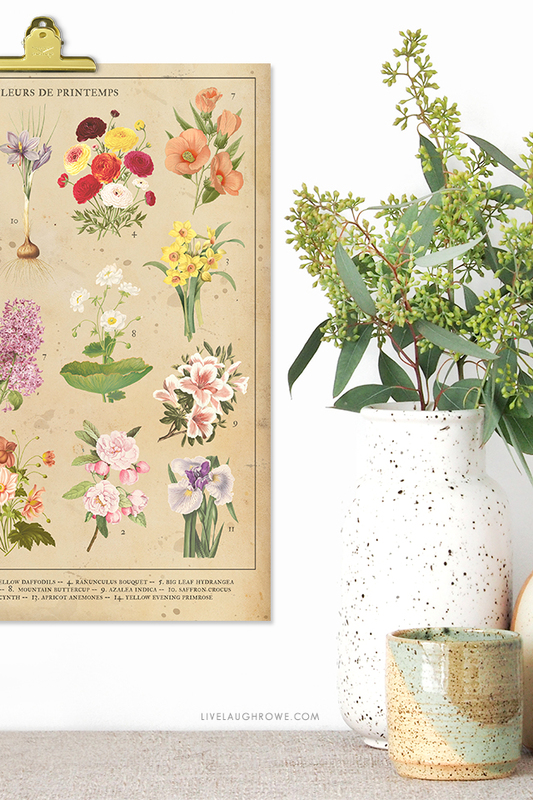 PLUS — if you have a vintage, botanical loving friend, be sure to pass it on. Print yours at the bottom of this post. Looking for some more beautiful spring inspiration? Many thanks to Kristen from Ella Claire for organizing this collaboration with so many talented creators. Below you’ll find 25+ MORE printables to browse through! Enjoy, friends. Botanical Wall Prints by Live Laugh Rowe | Fern Botanical by Jennifer Rizzo Design Co.
« AMAZING Pecan Pie Bars Recipe! This printable is so pretty. I love it! Wow, nice job! Thank you so much! LOVE this, Kelly! 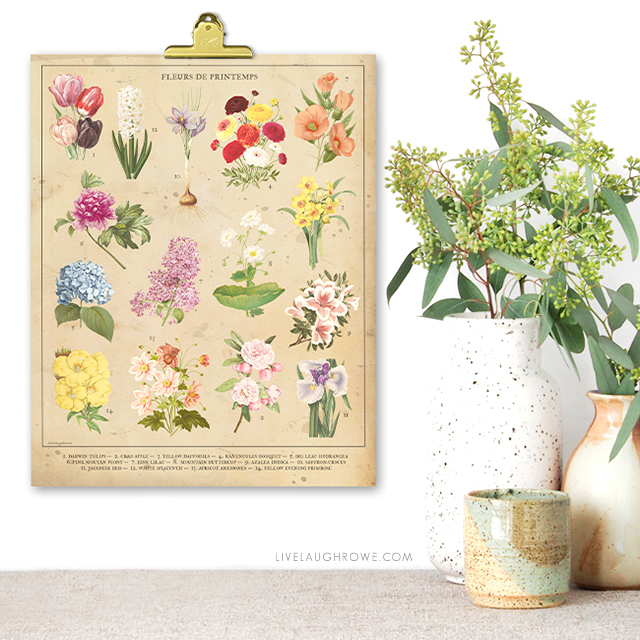 What a great printable for spring!! Love your botanicals!! So pretty! 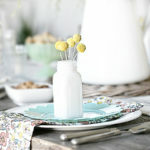 I love the vintage look and spring flowers! Beautiful. Oh my goodness! I love this! I just found you on IG because you found me there…does that make sense? Anyway, I have enjoyed looking around here this afternoon. Your blog is a blessing! Just found your blog……and I am in ❤️❤️❤️ Do you know if it possible to print this even larger….. looking forward to all of your inspiration.